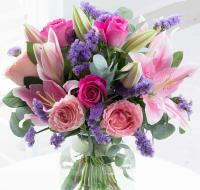 We are one the leading flower networks in Iran comprising more than 500 florists. 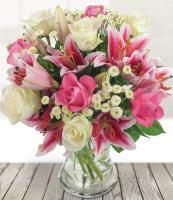 Our member Iran florists started the online flower business in 2000.
International Flower Delivery in Iran with Mondial Flowers The Iran florists make our flower arrangements by the latest design and newest methods. 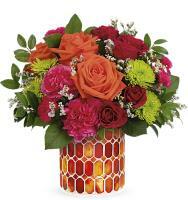 Also most of the member Iran florists have a lot of experiences in the floral industry as well as accepting flower orders from overseas. 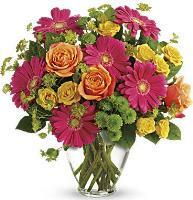 Our Iran office is open 24 hours a day, 7 days a week. 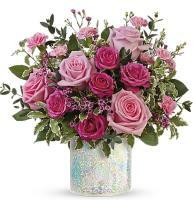 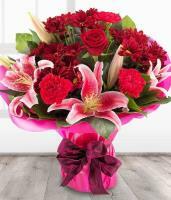 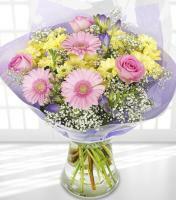 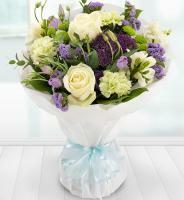 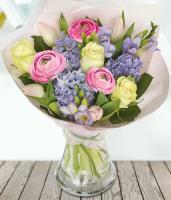 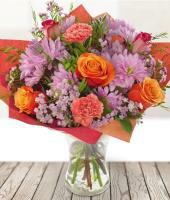 All flower arrangements for delivery in Iran can be found in our online flower catalogue. 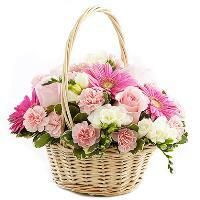 Ordering Iran flowers that are to be delivered to the recipient in Iran is the most popular gift. 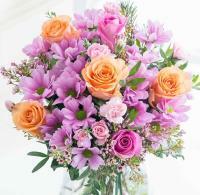 The Iran flower shops deliver flowers to many major towns and cities in Iran 6 days a week. 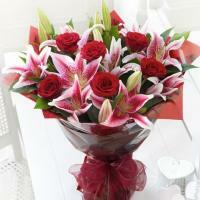 Our Iran florists deliver your flower order in less than 3 hours same day if your order reach us before noon Iran time. 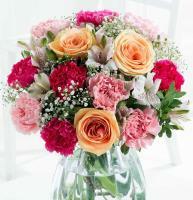 Send flowers to Iran easily for different occasions such as Wedding, Anniversary, Birthday, New baby, Sympathy, Funeral. 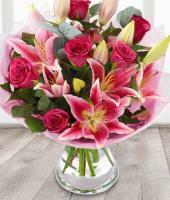 Some people have difficulty in expressing their feelings, we offer that opportunity by sending flowers to Iran to your loved ones, colleges mum, dad or friends. 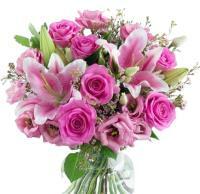 Kindly please always include a local telephone number and mobile phone in Iran. 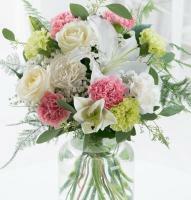 Our member florists in Iran will hand deliver your fresh flowers to any local address, residence and hotel within Iran. 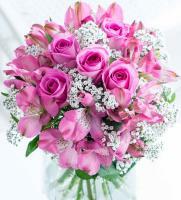 Note: Our member florists in Iran try to deliver your flower orders in the least time during a few hours in special Days like Mother's Day, or Norooz (Persian New Year's Day), but we can't guarantee the flower delivery in Iran in less than 3 hours, because the volume of the flower orders is high during such days.